Argonauts Productions SA, one of the leading audiovisual production companies in Greece, was founded in 2003 by Panos Papahadzis, a producer with more than 50 feature films in his career. Our films, domestic productions and international co-productions, have seen the success of numerous awards, box office hits and presence at the major film festivals. Argonauts focuses on meeting the needs of any project with optimum production value on screen. With a true knowledge of the country’s locations, a vast network of skilled professionals, and expertise in legal, tax and all production related aspects in Greece, we deliver exceptional full package services at all stages of productions. Boo Productions is an independent production company, focusing on feature films, TV programs, and commercial spots. Since its launch in 2007, it has produced and co-produced an impressive slate of multi-awarded features in international film festivals, and has provided production services in numerous foreign productions. Its commercial arm has been part of many of the industry’s most successful campaigns, with many prizes at the domestic Advertising Awards. CL PRODUCTIONS is a Film and Television Production & Service Company. It was formed in 1989 by Costas Labropoulos and it has a huge filmography with more than 190 feature films, documentaries, tv shows and major events. It has also an impressive presence in the national audiovisual field as it provided the production execution for many international films, which had shootings in our country. Homemade Films is an Athens-based film production and distribution company founded in 2009 by Maria Drandaki. It has since produced and co-produced several successful short and feature films, with a taste for sharp, cutting-edge, innovative cinema. 8 years after, the company’s films participated and got awarded in several international film festivals and got distributed in movie theaters and TV channels around the world. Homemade Films offers film services in Greece collaborating on a regular basis with various producers for projects from all around the world. 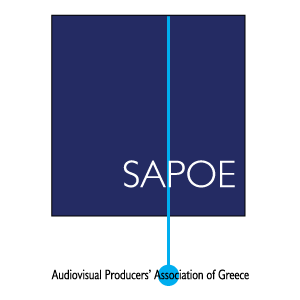 It is a member of the EAVE and ACE producers‘ networks and the Greek Producers Alliance. Marni Films is a young independent company, based in Athens, that produces shorts, features and creative docs by filmmakers at their first steps. Our goal is to keep greek cinema’s new wave alive by supporting young artists and delivering innovative productions for tv, cinema and internet platforms. At the same time, we produce selective commercial spots and we service foreign productions. Pan Entertainment SA was founded in June 1999. Her productions have participated and have been awarded in many festivals in Greece and abroad. It trades in all areas of audiovisual production: motion pictures, television productions and television advertisements. It provides production and post-production services, while possessing special know-how and expertise in new technologies, especially in the networks and electronic distribution of digitized audiovisual material. 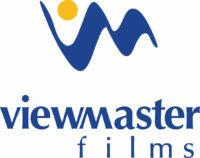 ViewMaster Films has been established in 2010 by George Kyriakos , aiming at cinema and TV productions with high artistic and technological standards. Up to now, VMF has produced more than 30 feature films as well as documentaries. The company has also provided production execution for many international films that were shot in Greece. VMF also operates in the field of Public Events.